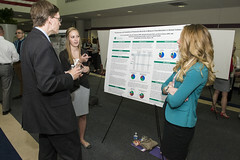 Delta Omega is the honor society for graduate studies in public health. The society was founded in 1924 and currently includes 66 chapters throughout the United States and Puerto Rico. Membership in Delta Omega reflects the dedication of an individual to quality in the field of public health and to protecting and advancing the health of all people. To learn more, visit the national Delta Omega web site. Wright State University's Gamma Alpha chapter was established in January 2010. 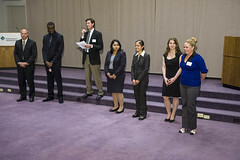 Our first induction ceremony was held on May 19, 2010. We are very proud of our membership and will be seeking ways to further engage them in our chapter and the WSU community. 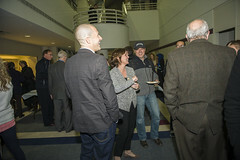 We are currently exploring ways to engage our membership, including networking events and community service activities. If you are a member of Delta Omega, and would like to get more involved, we would love to hear from you! Graduate student applicants must have a cumulative grade point average equal to, or greater than, 3.8 and demonstrated leadership in professional and community activities within the field of public health. 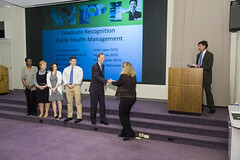 Alumni must demonstrate leadership in professional and community activities within the field of public health that serves as a model for future graduates of the school. The selection committee generally focuses most on accomplishments and activities since graduation, so very recent graduates will not typically be competitive. WSU MPH full-time faculty. All candidates must demonstrate the potential to make significant contributions to the field of public health. Full-time faculty members are evaluated based on outstanding public health performance in teaching, research and community service and leadership within and outside of the WSU. When: February 12, 2019, 5:00-6:30 p.m. Contact Lori Metivier (937.775.1427 or lori.metivier@wright.edu) for more information. Delta Omega Gamma Alpha 2017 Induction. View the event flyer. The Gamma Alpha Chapter of Delta Omega was honored to have Richard Wilkinson speak to our DO members, program faculty, students, graduates, and friends on Friday, September 23. 2016. "Professor Wilkinson articulates the public health ills of our society through the lens of inequality with amazing clarity, precision and substance that propels us to reexamine the link between inequality and the health of a population." "In the aftermath of the financial crisis, a resurgence of emphasis has been placed on economic inequality, beyond the public health domain. 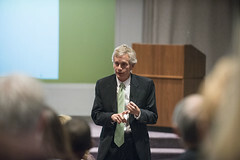 With that in mind, it was a tremendous honor and opportunity to hear Epidemiologist Richard Wilkinson discuss his four decades of research which demonstrate that more equal societies are healthier and happier." This enlightening lecture can be viewed on YouTube at https://www.youtube.com/watch?v=jGRJfZhPHg0. Delta Omega Gamma Alpha lecturer, Jason Reece, associate director, Kirwan Institute, presented “Working Toward Health Equity: Race, Place, & History — Understanding How Today’s Landscape of Health Inequity Emerged,” on Nov. 19, 2015. 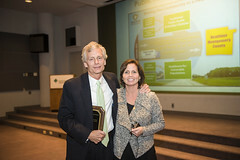 Delta Omega Gamma Alpha lecturer, James Gross, M.P.H., Health Commissioner, Public Health — Dayton & Montgomery County, presented “Reflections of a Health Commissioner: The Good, the Bad, & the Ugly (but Mostly the Good),” on Nov. 13, 2014. 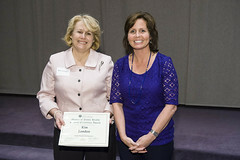 Delta Omega Gamma Alpha lecturer, Marjorie Bowman, M.D., M.P.A., dean, Boonshoft School of Medicine, Wright State University, presented “Communities of Solutions — Primary Care and Public Health Perspectives,” at the Gamma Alpha induction ceremony on April 16, 2013. 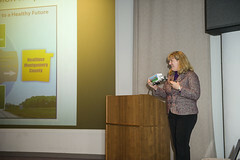 Delta Omega Gamma Alpha lecturer, Christy Porucznik, Ph.D., M.S.P.H., assistant professor, Public Health Program, University of Utah, presented “Prescription Opioid Adverse Events in Utah — Research into Practice and Back Again,” at the Wright State University Public Health Grand Rounds on Tuesday, May 8, 2012. 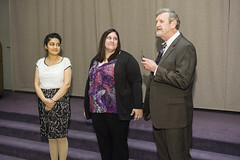 Delta Omega Gamma Alpha lecturer, John D. Bullock, M.D., M.P.H., M.Sc., presented “The Worldwide ReNu®-Related Fusarium Keratitis Epidemic of 2004-2006: What Would The Reverend Henry Whitehead and Doctor John Snow Have Done?” at the inaugural Public Health Grand Rounds at Wright State University on Friday, July 22, 2011. View a conference flyer (PDF). The Gamma Alpha chapter is seeking motivated and energetic individuals to join the board, contribute ideas and assist on specific projects. If you are a member of Delta Omega and are interested in joining the Gamma Alpha chapter board, please email us at lori.metivier@wright.edu for more information. To facilitate information sharing among Gamma Alpha chapter members, we have established a Delta Omega e-mail list. To subscribe, please e-mail lori.metivier@wright.edu. M. Matias Iberico, M.D., M.P.H. 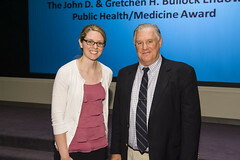 Jeffrey Daniel Jenks, M.D., M.P.H. 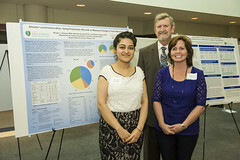 Naila Khalil, M.B.B.S., Ph.D., M.P.H. Robert Sarlay Jr., M.D., M.P.H. 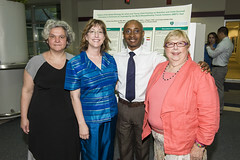 Mary Beth Kaylor, Ph.D., M.P.H., M.S.N., B.S.N. Raymond Ten Eyck, M.D., M.P.H. Visit Delta Omega's membership website to view the names of all Delta Omega members.